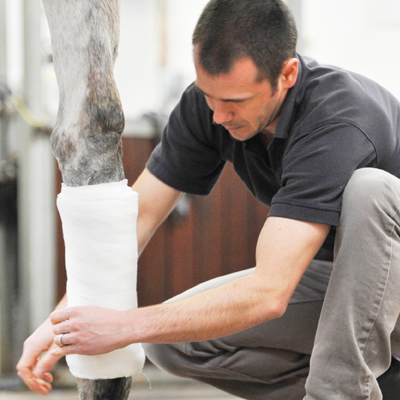 We offer emergency equine veterinary care 24/7, 365 days a year. If you find yourself in the unfortunate situation where your horse needs urgent veterinary attention, we not only have a team of vets available Monday to Friday, but ALWAYS have 2 equine vets on call, every night, weekends and bank holidays to offer either telephone advice or come out to your horse. If you need us outside of our office hours, please still call our usual number 01772 861300 and you will be put through to one of our on call equine vets.